Tenura self adhesive non slip silicone reels now available! Tenuras latest addition to the daily living aids range is self-adhesive non-slip silicone reels. This material is our faithful non-slip silicone with an added bonus of a strong self adhesive backing, allowing it to be applied to an area as an effective semi-permanent non-slip surface that will not only provide excellent non-slip properties, but will not damage any items placed upon it. The adhesive backing was an additional feature people have enquired about online, at meetings and exhibitions. 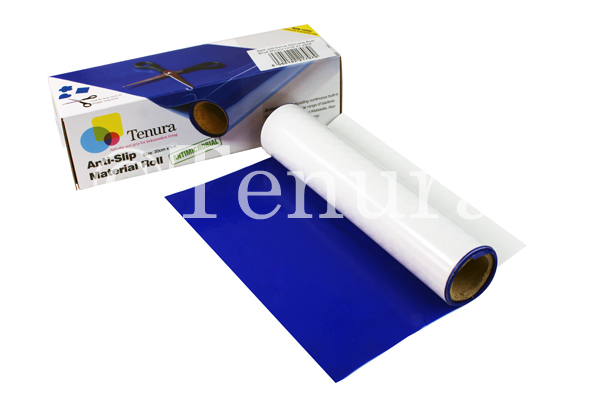 Now Tenura are happy to make this available and supply an inexpensive, self-adhesive non-slip surface. This material can be used in many domestic and industrial applications such as in tool boxes, workbenches, breakfast bars or side tables at home or desks in the office. It can also be applied to handheld objects to increase grip and comfort. Self-adhesive silicone reels decrease the risk of spills and prevent stains from objects resting on its surface. Thanks to the easy peel away backing, this material can be applied quickly and neatly, creating an aesthetically pleasing non-slip surface. They are highly versatile, due to you being able to cut pieces to size using scissors, making them ideal for when a non-slip surface is required. The aforementioned cut to size versatility makes it perfect for areas where multiple or specific shape applications may be needed. Tenura self-adhesive non-slip reels are 1m x 20cm giving you a large amount of material to work with for your money. They are 0.3mm thick and available in blue. 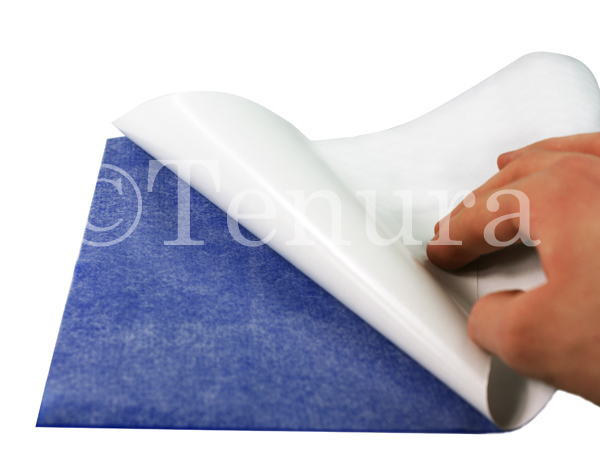 Tenura self adhesive non-slip reels can be purchased directly through our website, along with the rest of Tenuras range of daily living aids. You can get free shipping on all Tenura products by spending over £50 or more! Posted in Arthritis Aids, Assisted Living, Daily Living Aids, Independent Living, Social Media, Tenura Updates, Uncategorized and tagged Tenura, non slip, silicone reels, self adhesive, self adhesive non slip silicone reels on 25th January 2017 .